Have anyone ever heard of Etude House? 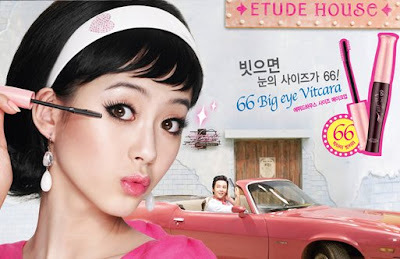 Founded in 2005, Etude House is a Korean makeup, skincare and beauty accessory brand shop catering to young women. 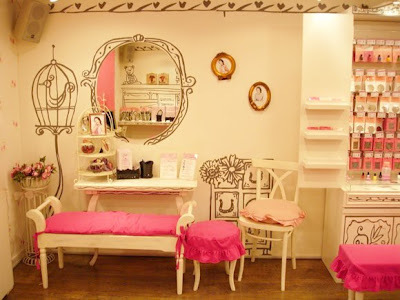 Etude House is a total beauty solution shop. 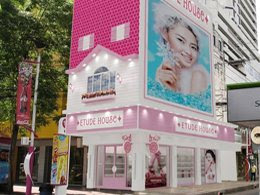 As if conceived out of a fairy tale, Etude house resembles a princess’s private room; a romantic interior full of ornate trinkets imagined and inspired by her dreams. 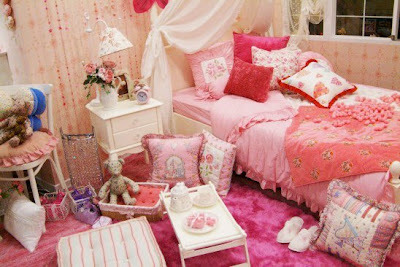 Everything about this space, including the cosmetics, embodies the beauty & youth described in a romantic fairy tale. 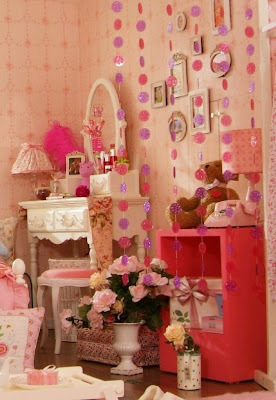 but just look at how cute the decorations are.....hmmm...why can't they have anything cute here in the state??!! I love these videos. They look so cute!!! the store is so cute!! looks like a huge dollhouse! Cuteness overload!!!! I'd just hide and stay in there over night, hahaha. I know, everything in the US is so... blegh. 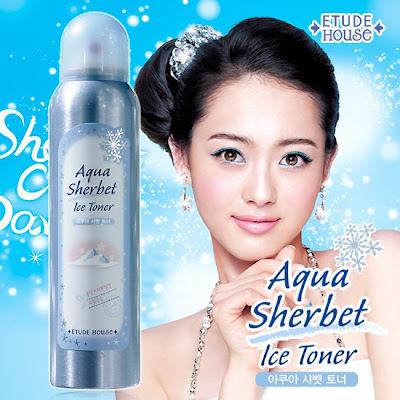 She always order's quite a bit from Etude House, and does good reviews :). I have their BB cream and it's great, and few other items. Thanks!! I'll go check it out. I've heard good stuff about Etude brands, but I have never tried it myself. You can buy it at any Korean beauty shops near you. Of course, they sell it a lot more than in Korea. I love their shop!!! 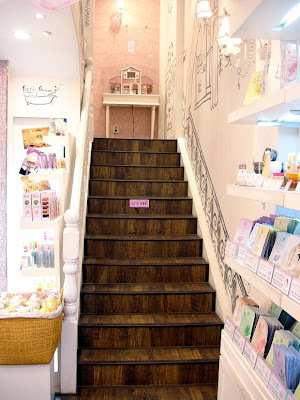 I'll definitely go in everytime I see it if we have Etude here! 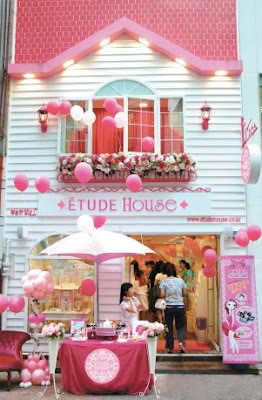 When i was in HK, I just saw a small counter for Etude, not a big cute store like this! I never heard of this brand before. But then again, I'm not too familiar with Asian makeup. The store is definitely cute! the whole shop is really a pretty pink colour! so THATS what Heaven looks like!!!!! crap man i wanna spend days on end in that store!!! aaaaaaa too bad U.S. can't be smart and cool enough to have one of these makeup stores. U.S. is always so boring with makeup! I remember when Sephora first came out. Even though I was in elementary, I think Sephora was a godsend for america. i wonder how the makeup lovers survived without sephora or ULTA decades ago... @_@!! i just love etude house...sooo sooo GIRL isn't it -- I wanted to buy some etude house bb cream and the aqua sherbert line, i heard the toner is amazing. i tried the lip gloss and the color was so nice ..
Etude house stuff is really nice. It's cheap, good quality and cute. finally found a blog who does etude reviews. i'm having a giveaway. if you have time, drop by! love yours so keep up the good work!